A quality after school program is more than just a safe place for kids to hangout after the school bell rings. A Y After School Program nurtures potential, improves academic engagement and achievement, builds confidence and character, and supports the whole family. 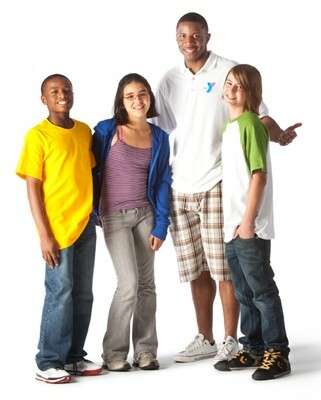 All YMCA After School Programs focus on Youth Development, Healthy Living and Social Responsibility. The academic success of our students is a top priority to all Y After School staff. Program Leaders and site staff provide homework/tutoring assistance daily. All activities are planned around weekly themes that are directly related to the Standards of Learning. Healthy Living is an important part of after school! Students receive a nutritious USDA approved healthy snack in addition to a fresh fruit or vegetable daily (provided by a gracious grant from the Wal-Mart Foundation). All Y After School Programs use the nationally recognized SPARK PE curriculum for daily organized physical activity. Character development and conflict resolution are also an important part of Y After School; the 4 Core Values of caring, respect, responsibility & honesty play a pivotal role in positive Youth Development. Social Responsibility is demonstrated through community service projects and enrichment programming that are conducted by or with our community partners. Whenever possible field trips for community service projects or enrichment activities are taken during the after school hours. All Y After School Programs operate from school dismissal until 6 pm Monday-Friday. On early dismissal days all after school programs will operate from dismissal time until 6 pm as well! School Day Out Camp is offered at the Collinsville YMCA on teacher workdays and holidays. All Y After School Participants are welcome to attend, however, there is an additional charge for these days of care. In the event of inclement weather where school dismisses early, all non-Y branch sites will NOT operate. Parents are welcome to pickup their children from school and transport them to either Y location for care at no additional cost. Y branch sites will operate as usual. In the event that school is closed due to inclement weather the Y will open as scheduled as long as it is safe to do so. There is an additional charge for inclement weather days. Complete the Registration Form. Every line must be filled in or marked “N/A” for Not Applicable Please do not write Same for address or phone! The cost for our programs are $50.00 weekly for after school care, $25.00 weekly for before school care (provided only at the Collinsville location), and $30.00 registration fee which includes insurance and supplies. Part-time care is offered for those that need care 3 or less days a week at a rate of $12.00 daily for after school care and $5.00 daily for before school care. The YMCA offers a School Day Out Camp when school is out for student holidays or inclement weather days at the Collinsville YMCA only. The cost for School Day Out Camp is $22.00 per child; parents must provide a lunch on these days. Special programming or field trips may be provided on these days. The Martinsville-Henry County Family YMCA accepts child care subsidy payments from the Virginia Department of Social Services. Powered By FixnYourPC Web Services. © 2010 Martinsville-Henry County Family YMCA. All Rights Reserved.